Now the latest in the series, which has had some straight up cow turd of films, is back and going straight for the high violence horror route. I was told these are Nazis puppets and you are meant to hate them, you aren't rooting for them. But you're also not rooting for the victims in this one. I got this bit of info straight from one of the the members of the Shock Waves podcast, one if not the best horror podcasts out there now. So you get ready for some violence carried out by bad guys on people you won't grow to like. 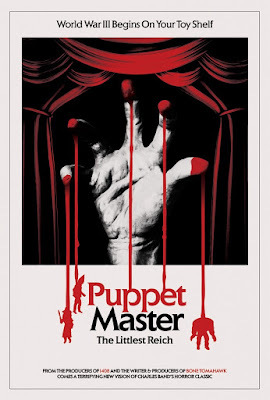 For long time fans this movie brings back the old puppets via a Puppet Master convention, people are collecting puppets found in bizarre murders, so yeah they"ll be a ton of meta an in-jokes from the films. 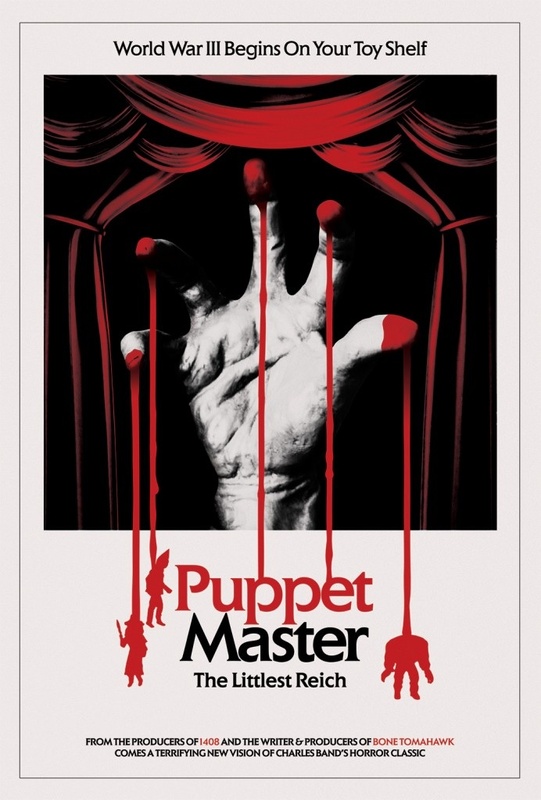 For newcomers, get ready for some amazing B-Horror cinema you have to see with a big audience. The premiere is going to be the best time to see it as this will be a crowd to yell, laugh and possibly leave the theater in disgust with.